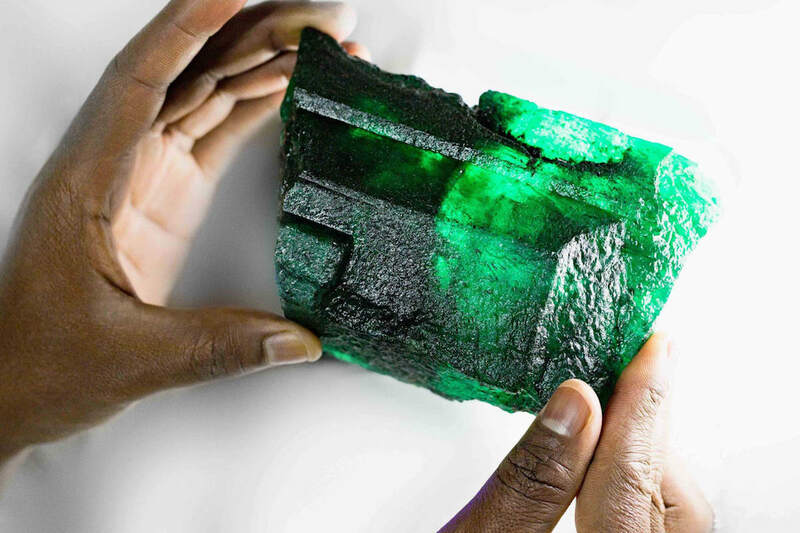 An emerald as big as your hand is found in Zambia — a whopping 5,655 carats | The Philadelphia Tribune The emerald is being called “Inkalamu,” which means “lion” in the local Zambia Bemba language. The world’s largest producer of green stones has unearthed a 5,655-carat emerald crystal at its mines in Zambia. The 5,655-carat Lion Emerald Credit: Gemfields. Image Credit. AP Photo/Santi Palacios. The stone, which weighs almost 2.5 pounds, was found at the Gemfield mines in Kagem, the company said in a statement this week. The emerald is being called “Inkalamu,” which means “lion” in the local Zambia Bemba language. It will be cut into smaller pieces and auctioned in Singapore in November. It has “remarkable clarity and a perfectly balanced golden green hue,” the statement said.